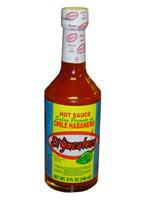 One of the biggest brands in Mexican hot sauces is the El Yucateco hot sauce. We carry all the El Yucateco products so you can find the perfect one to fit your preferences and spice up all your Mexican dishes. These hot sauces come in various degrees of heat so you can add just the right amount to your dishes to bring out the flavor. 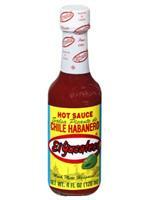 The salsa Yucateco products are perfect for turning up the heat in all your recipes. You don’t have to limit it to the Mexican dishes you serve. 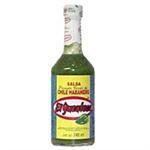 You can add a few drops or even more to every dish you make when you enjoy spicy food. Spiciness is the essence of Mexican food. 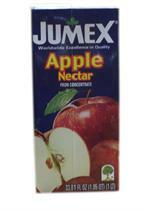 You can carry this flavor through to all your other food if you enjoy a higher level of spiciness than others. With all the El Yucateco products that are available, you will be able to find one that suits your tastes and helps you create the delicious dishes you crave. 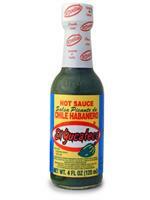 In addition to hot sauce, you may also want to try the El Yucateco salsa picante habanero. One of the hottest products we offer, this salsa picante can help you really turn up the heat on any of your favorite recipes. Just a dash of this product can increase the heat on your dishes by great amounts, making it necessary to use carefully. However, once you know how much is right for you, you will love this addition to your recipes.